"Not sure that fed employees can connect the dots by themselves. However if the Gov outsources this to Google the (following) is quite possible" was the thought expressed by a long time subscriber who sent this link that reveals the unreasonable searches & seizures whose accumulations of American's personal information have been recorded on computers so that the seemingly simple process of ordering a pizza becomes a libertarian nightmare. The video acts as if this is something that can happen in the future but people who travel by airplane can already sympathize with the cartoon character with a gallstone shown above. Also anyone who has completed an online application for a bank or brokerage account since 9/11 knows how real the intrusions encountered in ordering a pizza as shown in the video are right now – not some time in the future. Answering multiple choice questions about your distant past to prove to a computer that you really are who you say you are strains memories & makes you wonder who knew all of this stuff about you from half a century ago. Judge for yourself how many Fourth Amendment rights are abused with the intrusions & rummages into the security of your "persons, houses, papers, & effects" that have been going on for decades. As promised below are the responses from 2007 to the original posting repeated on July 17 regarding my billing problem. You will see below two readers replied with what made sense to them. There were many responses in 2007 I did not publish – in one a reader let me know she told her boss about my billing problem & asked for a raise to cover the fuel surcharge she incurred commuting to work & another responder did a complete constitutional analysis of Carol's solution to my billing problem. To understand why the original billing-problem posting is my favorite please refer to Neal Boortz's regular commentary from his radio program & message on his blog - "Don't believe anything you read on this web page or, for that matter, anything you hear on The Neal Boortz Show unless it is consistent with what you already know to be true, or unless you have taken the time to research the matter to prove its accuracy to your own satisfaction." It is this same common sense standard I always encourage readers of RTE to use – questioning & commenting are how we all learn & I thank everyone who participates & contributes. 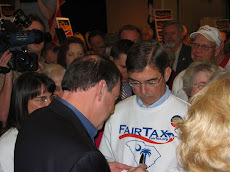 Admittedly the billing-problem posting was out of character – but really no more so than someone asking you to sign a petition to repeal the First Amendment commenting while you have pen in hand "I don't know where the Republicans think they have the right to say what they want to say." Received more responses to my billing problem note than any other ever. Shows what an alert group we have who cut right through the baloney. Below are two responses representative of the ones that got right to it. I won't show the ones who thought this was serious - if you did, read it again in light of the following two responses & also if you thought this was serious & still get your news from the hostile media use this as an example of why you shouldn't believe anything that doesn't make sense to you. "what has fuel surcharge have to do with insurance;??? what has health care surcharge have to do with fuel???? somebody is pulling your leg." 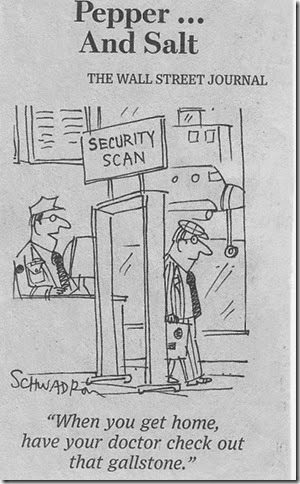 ":-) There are times when a bit of levity is appreciated. We need more of them so we don't turn into Democratics (You know how they hate being called Democrats.)" Many of us who want ObamaCare repealed are eager to see what comes of the one year delay in enforcement to January 1, 2015 of the part of ObamaCare, known as the employer mandate, that requires employers with 50 or more employees to offer government approved healthcare insurance to workers or pay a $2,000 per full-time employee fine. My specific interest in this delay questions the legality of BO's unilateral decision to enforce only parts of the crippling law. A case can be made that a president is required by the Constitution to faithfully execute our laws – not parts of them. How does BO have the authority to unilaterally delay the part of the law mandating employers to provide healthcare insurance or pay fines? I am anxious to see if this legal question is the opening champions of repealing ObamaCare like Michele Bachmann & Steve King have been waiting for. Now the implementation of ObamaCare has run into several speed humps since passage in March 2010. First - Roberts ruled that states can op-out of the law's Medicaid expansion & 28 states have indicated they will or may op-out. 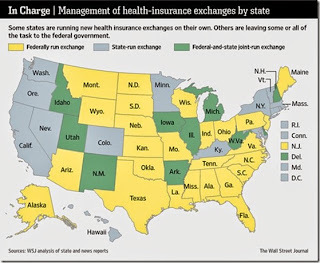 Second - 36 states have refused to fully set up the troubled healthcare-insurance exchanges (see above graph) that will allow people who do not have employer coverage to buy insurance through the exchanges with part of the premiums paid by government subsidies – the federal government will run the exchanges in the states colored yellow. Although BO acts as though he delayed the employer mandate to help businesses the reality is that the government's computer systems connecting businesses, the IRS, Social Security, DHS, & all of the participating insurance companies will not be ready on October 1 for exchange operation & January 1 for enforcing the employer mandate – both dates specified in the law. So the postponement of the employer mandate to furnish healthcare insurance or pay a fine is just the latest problem & in truth it may be more of a political problem BO wants to head off than an administrative computer problem when you realize the new effective date for the employer mandate is right after the 2014 midterm congressional elections. The postponement merely delays a potential problem that could cost the Democrats a few House or Senate seats & oh does BO want to control both Chambers of Congress his last two years in office. The employer mandate postponement really could have a small impact because most firms with over 50 employees already offer healthcare insurance. 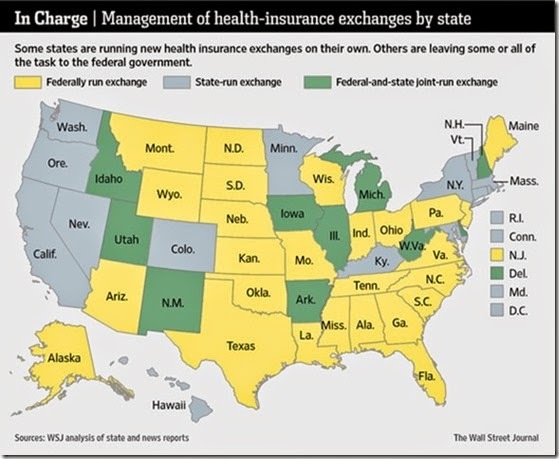 BO's political fear is that if he does not delay the employer mandate past the midterm elections employers might drop healthcare insurance coverage with the employees dropped from coverage going on the exchanges thereby raising the government's cost of ObamaCare. Since the employer mandate only applies to full-time employees, defined as employees who work 30 hours or more, it also could threaten to depress full-time employment right before the congressional midterms. 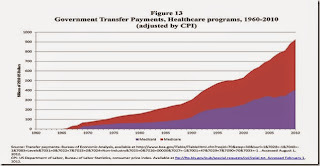 With a giant hole in ObamaCare in 2014 – parts of the law in effect & key parts not in effect - the government will rely on the honor system in approving applications for the premium subsidies absent employer verifications through the aforementioned computer systems. BO's delay in implementing the employer mandate gives the Republicans a chance to unwind the ObamaCare step by step implementation that has been going on for over three years. 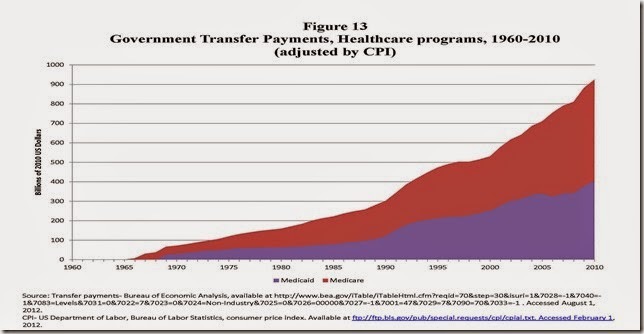 With the completion of each step BO's goal of universal single payer healthcare insurance gets closer. The Republican House leadership has written a letter to BO detailing new questions & concerns with ObamaCare based on the above & it is a good first step. The best part of the letter is that the Republicans ask for a response by July 16 so we won't have to wait long to see what happens, if anything. 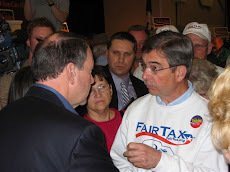 Click here to hear Mike Huckabee's excellent commentary about eliminating the IRS as part of the FairTax legislation, HR 25. 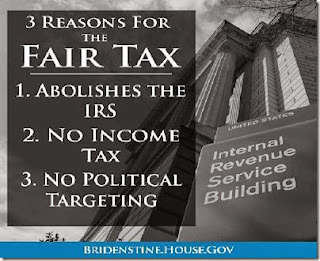 Under the FairTax every individual decides, instead of the IRS, how much tax they pay & when they pay it. The April 15 income tax filing deadline is eliminated & instead you "do your taxes" at the checkout counter whenever you make a purchase - and walk away with no chance of an audit. 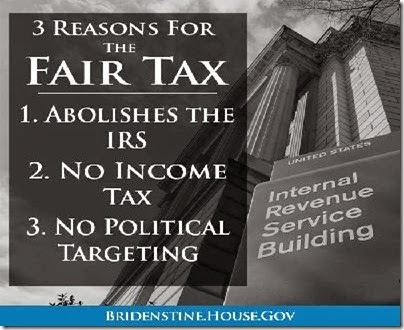 Under the FairTax, the ordinary citizen will never come into contact with a federal agency for the purposes of collecting taxes again. In the video Mike also recommends that even under the current income tax system that all government subsidies to all entities – religious or not – be ended. Mike says – "If you want something pay for it. Leave the government out of it." That very simple idea by itself would solve so many of our problems starting with the lesson that government is not free.